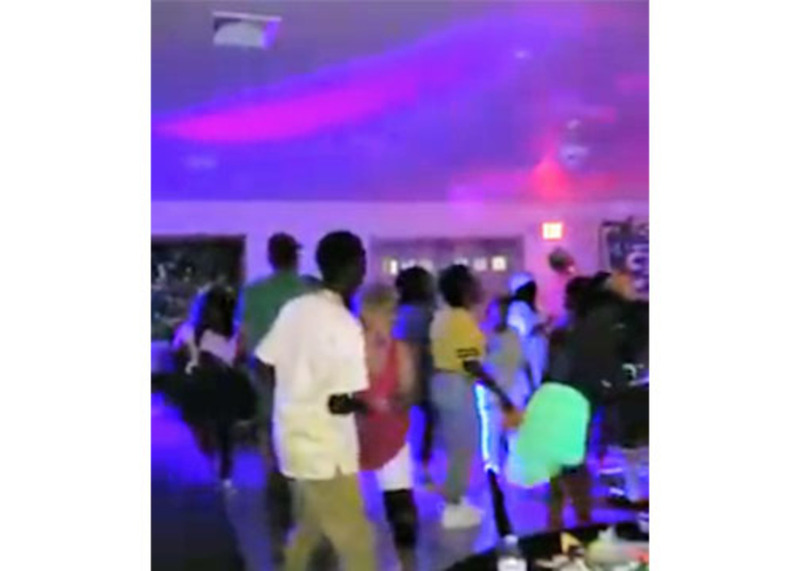 The black light rentals come included with built-in floor stands if you want to just set them up on a table or floor, but to really maximize the output as well as have more control over the light direction, you might want to consider hanging them from lighting truss or light stands. You can use any standard light stand or truss. You'll just want to make sure you have something to attach the black lights to the stand, like o-clamps. Please note: If you rent light stands from us, then you won't need o-clamps because our stand t-bars come with everything you need to attach lights. But if you are getting a light stand from somewhere else, or using your own, then you'll just want to make sure you have a plan for attaching the lights. Once you have the black lights hanging, you can tilt and position them to achieve the look you want. 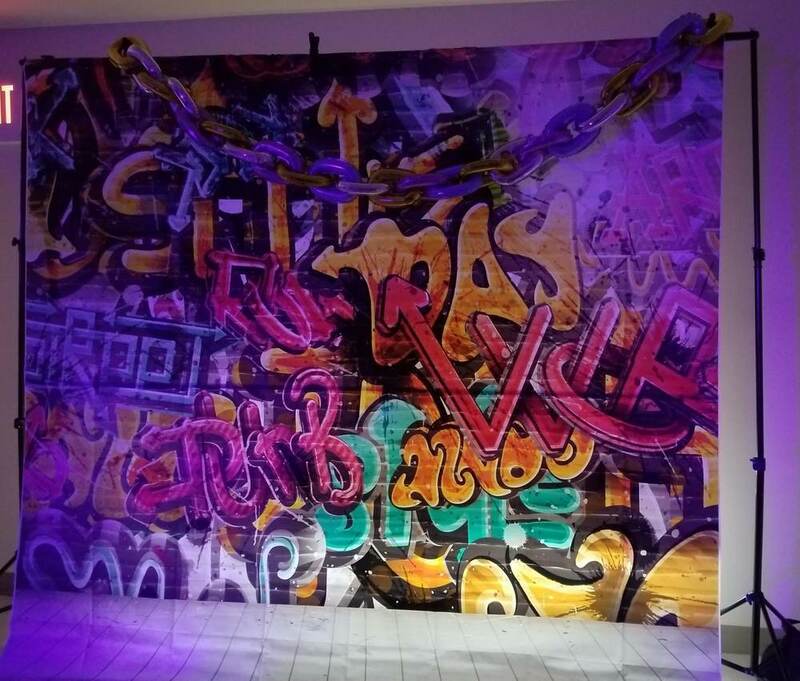 Like in these example photos, they used a few units to light a photo backdrop, another few units to shine some glow on their tables, and then a couple more for the dance floor. You can get creative with your glow in the dark effect. ProLightingRental.com offers free shipping anywhere in the continental USA. 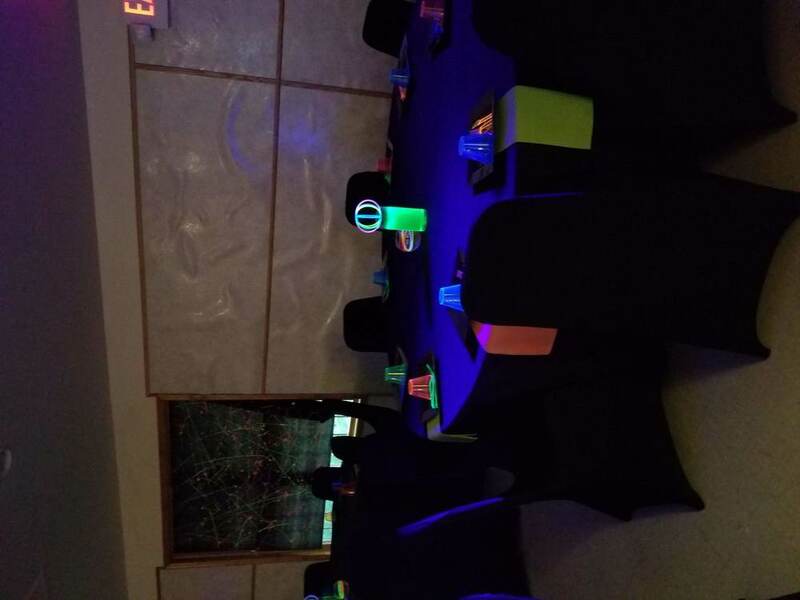 Check availability to get started with your black light rental for your next glow in the dark party!